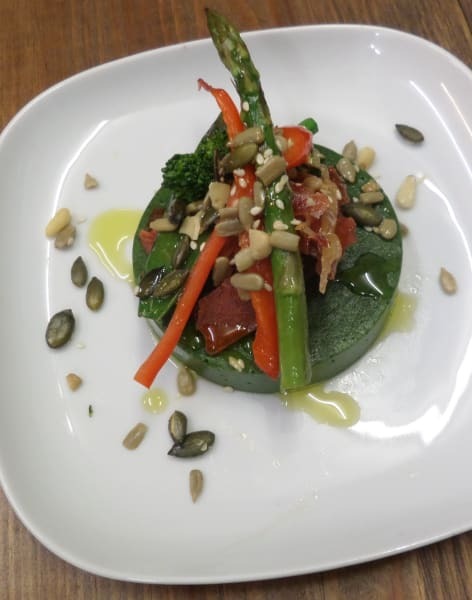 In this vegan tapas dinner workshop you will learn how to experiment with new ingredients, to transform the textures of ordinary food into a more creative one. Learn how to make airs, foams, spheres, caviar, hot and cold gels, without missing any flavour. 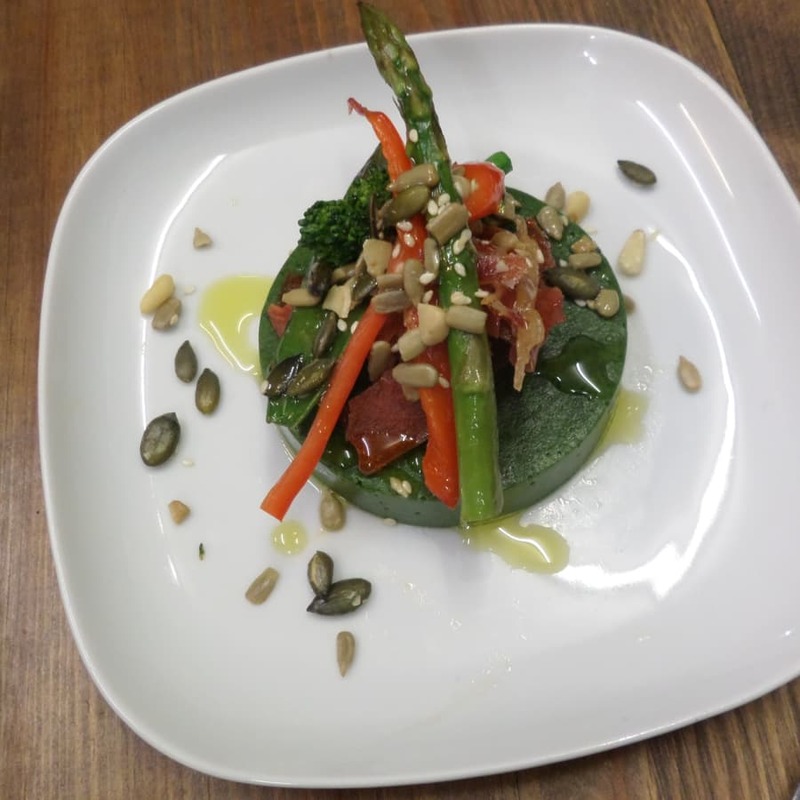 Once you've mastered these, go and create your own ‘molecular tapas‘- simples! 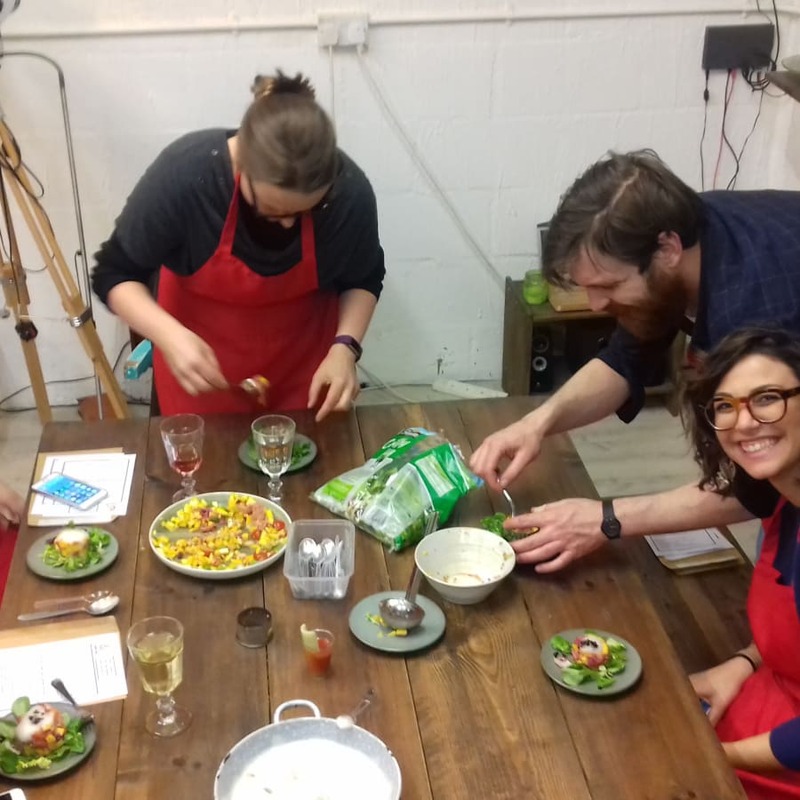 If you are looking for an ordinary cookery class, this is not for you. If you have a creative mind, love multiculturality networking, do not like cooking rules and are passionate about experimenting in the kitchen, you are taking too long to sign up already. Hola! I'm David. Founder of Pencil & Fork "learning experiences through food". We provide a different approach to learning using food as the vehicle. In our classes and workshops you will learn the topic at the same time you have a culinary experience. Our motto: learn, eat, enjoy and socialize. If you want to learn out of the box these workshops are for you. I am a chemist certified from Harvard University in Science and Cooking. Working and living in Spain, France, Chile, the US, and UK, gave me the opportunity of learning from diversity. Cooking Your Spanish "learn Spanish making tapas"
Cooking Your Science "learn Science through molecular gastronomy"
We are happy to accommodate any dietary requirement. Our first glass of wine is on us, but feel free to bring your favorite drink.